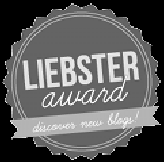 First, I want to thank Clive Eaton for ‘nominating’ me for a Liebster Award. I don’t know where this blog chain started, but here are the requirements: I have to list 11 random facts about me, then answer the 11 questions asked by the person who nominated me (that would be Clive Eaton). 1) I’m comfortable ad-libbing just about anything. 2) I’m much more serious than many people would guess. 3) I adore my two little dogs: Bella and Chico. Both Maltese. Both toothless. Both very sweet. 4) I hardly write at home, or even in my city. To get into writing, I really have to be somewhere else entirely. Best if it involves flying somewhere. 5) During the last three weeks, I have had Häagen-Dazs for dinner at least twice. Almost any flavour will do. 6) Between 2001 and 2003, I lived in Mexico. 7) According to my high school teachers, I should never have become a writer. I usually got a “C” in English. Don’t ask what I got in penmanship in the earlier school years. 8) A few years ago, I studied Microbiology and Biochemistry. Pretty cool stuff! 9) Like my character PI Sasha Jackson, I am kind of claustrophobic. 1) What’s your favourite all time album, and why? Probably the soundtrack to the musical Chess. It’s one of the very few CDs or albums that does not have a song on it that I’d skip or fast-forward. 2) You have a hot-air balloon with 10 famous people in it. The balloon is heading towards a volcano, which will kill all on-board. But, with just 9 passengers, the balloon could safely land. Whom would you sacrifice, and whom would you save above all others, and WHY? I’d toss out Justin Bieber and save Stephen Hawking. We need the latter’s brains, and don’t need the former’s music. 3) Marmite, Love or Hate? YUCK!!!! 4) You are invited to a dinner party with three other guests (dead or alive) - Who would you choose, and why? Christopher Hitchens. Frank Zappa. Albert Einstein. Think of what a fascinating conversation it would be! 5) If you could change one thing about this World, what would it be? That everyone could have the ability to fly. Think of the problems that would solve! Traffic congestion, pollution, etc. 7) You could be given the answer to one question, yet unanswered by mankind, what would that question be? What happened to Jimmy Hoffa? 8) If a famous author said they wanted to use a quote from you about one of their books: Who would be the author, which book would you review, and what would be your one line quote? Chris Hedges, Empire of Illusion. I’m not sure what the quote would be, but it would relate to chapter two of that book. 9) Your favourite musician/band has agreed to play three songs to you and a small group of friends. Who would you choose, and what they play? Jackson Browne: Doctor My Eyes, Running on Empty, and The Load/Stay. I’d want all the folks who were involved in the 1978 BBC In Concert show at Shepherd’s Bush Theatre. 10) You’ve been offered a VIP package to a sporting event. Which famous sporting event would you most like to see, and who would you want to see win it. I don’t follow sports at all, but it would be cool to attend the Kentucky Derby. I’d want to see a horse win it. 1. Think of any book you’ve read recently. If that book (please tell us the title) were a meal, what would the meal be? 2. What fictional character would you like to bring to life for just one day, and why? 3. Have you ever met anyone famous? If so, who, when and where? 6. What is one piece of writing advice you can offer aspiring authors? 7. What subject did you hate the most in high school? And like the most? 8. Who among your friends, families, neighbours, colleagues, etc. was most surprised that you wrote a book? 9. $10,000 dollars just fell into your lap. What will you do with it? 10. Do you think there is any truth to Astrology or Zodiac signs? 11. If you could have any musician/composer/group/singer – whether living or dead – provide a soundtrack or a playlist for your latest book, who would you choose and why? Jill - Thank you so much for this nomination :-). How exciting! It means a lot to me coming from you. And I absolutely love your responses to the questions you were asked. In particular I loved your answers to #6, 7, 9 and 11. (I just adored Eats, Shoots and Leaves! You've created some interesting questions, too. Hmmmm... I'll hafta start thinkni'! OMG. Need to get my thinking cap on. Hope this isn't timed . . . Thanks for nominating me, Jill. I accepted the challenge! Got my curiosity, I'm wondering what you're doing with those little dogs' teeth??? My teachers thought 'daydreaming' was a distraction, I like to call it 'plotting'.